MO Podcast #1 Volatility, Smart Beta, Ancient Chinese Philosophy, and Poker — Check out our very first MO podcast with Chris D. and Tyler! Available on all major platforms. MO Podcast #2 Macro Ops Monthly Intelligence Report, Dollar, Tesla, and Birds — For the second episode of the MO podcast Chris D. talks with Alex about his history as a United States Marine Corps sniper and how that has helped him navigate markets. Available on all major platforms. Emerging Markets Explained — AK goes over the history of how the emerging markets fund was created as well as what the EEM ETF is actually composed of. Cash then went on to be one of the best performers of 2018… and the internet took notice, trashing Dalio and his early 2018 Davos “prediction” gone wrong. In it, they take a look at four specific value measures: trailing-twelve-month P/E ratio, CAPE, PRE (Price to Retained Earnings), and average investor equity allocation. All of the measures show that the equity market is historically overvalued. But they go on to say that this means nothing for forward 1-3 year returns. Valuations only matter to investors holding for the long haul. The statistical relationship just doesn’t mean much on a shorter time frame. It’s good to read about this stuff now and then so we can avoid making the mistake of sitting out in the short-term because a long-term metric is telling us to do so. Many traders have missed out on the upside in stocks over the last few years because they have been overly focused on valuation metrics. I think this is one of the more important macro charts right now. Markets took this week’s FOMC announcement as a sign that the Fed has put the breaks on the hawkishness for good. But easier policy this year will drive greater risk-taking in markets which could then feed into the real economy. And, ultimately, that may lead to a more hawkish Fed later this year. 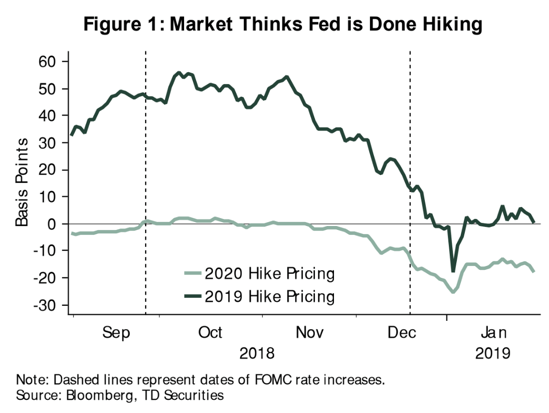 Remember, we always need to look at what’s likely to happen versus what’s being priced in and it seems the market has become fairly one-sided in their pricing of future outcomes for the Fed Funds Rate. And then there’s this one on hedge fund positioning. Hedgies aren’t taking much risk compared to the past. 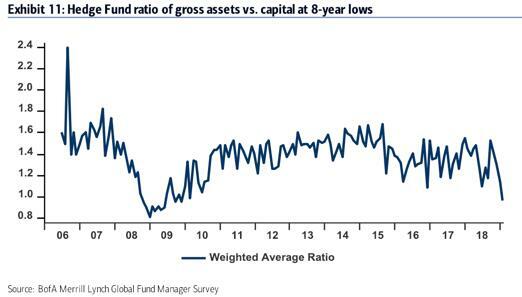 They have a defensive stance right now which means rallying in the equity market will likely bring in FOMO buying as funds feel the pressure to keep up. If you’re a short-term trader check out Linda Raschke’s episode of the Futures Radio Show. If that name sounds familiar it’s because Linda was interviewed in Jack Schwager’s New Market Wizards book. She’s a hardened veteran of the trading business and has lots of quality intel and wisdom for the next generation of traders. At the beginning of the show, Linda speaks about a few concepts that we talk about a lot here at MO. She said trading experience allows you to spot the “fat pitch” and press when appropriate. She also said 2 days of her trading month make up 80% of her monthly profits. Both of these statements are in line with our mental model of how markets work. They move according to a power law, meaning the truly fertile opportunities only come around every so often. But, when they do, they pay out big to those who know when to press at the right time. 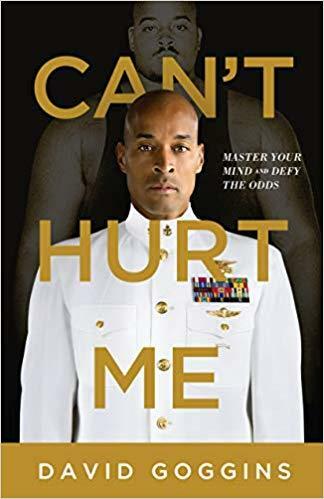 Can’t Hurt Me by David Goggins — Do you feel yourself caught in a rut, unmotivated, and beaten down by life’s challenges? Have you struggled with pushing your limits in the gym and at work? If so, get your hands on a copy of this book as soon as possible. It has expanded my mind in ways no self-help book ever has. And since then I’ve been able to push my mental and physical pain thresholds to new heights. David Goggins is an ex-SEAL who’s a regular on the ultra marathon circuit. To succeed in these pursuits he’s had to find ways to dampen that little voice in the back of all of our heads that tells us to quit when things get uncomfortable. Goggins learned how to hack his own mind and give that little voice the finger as he endured excruciating circumstances. He shares these mental hacks in this book. And it’s not BS fluff. It’s actionable tips that will help you push when things get hard. Goggins even gives you clear and simple action items that you can integrate into your life so the initial shot of motivation you get from reading this book sticks with you for the long haul. If you like audiobooks I highly recommend the Audible version of this title because in between chapters the reader and David Goggins put on “mini podcasts” which expand on what’s written down in the book. It’s a really interesting format and I think the audiobook/podcast combo will become more popular over the years as these two genres start to blend more. The Fed has given the bulls the all-clear. Here’s a summary of this week’s Fed meeting from Tim Duy’s Fed Watch. So now that they’ve shifted gears a bit I’ve gotten interested in our FOMC trade again. The FOMC trade involves shorting volatility on the day of a Fed meeting and covering the position around 30-60 minutes after the announcement. This trade worked great during the bull run of 2013-2016, but in 2017 the trade ran started to putter — there just wasn’t enough vol to sell off with a VIX in the 11 handle. 2018 didn’t do too well either. Depending on how long one held after the announcement the trade scratched or had a down year. The trend has finally reversed now that the Fed has started to ease up on the economic brakes. 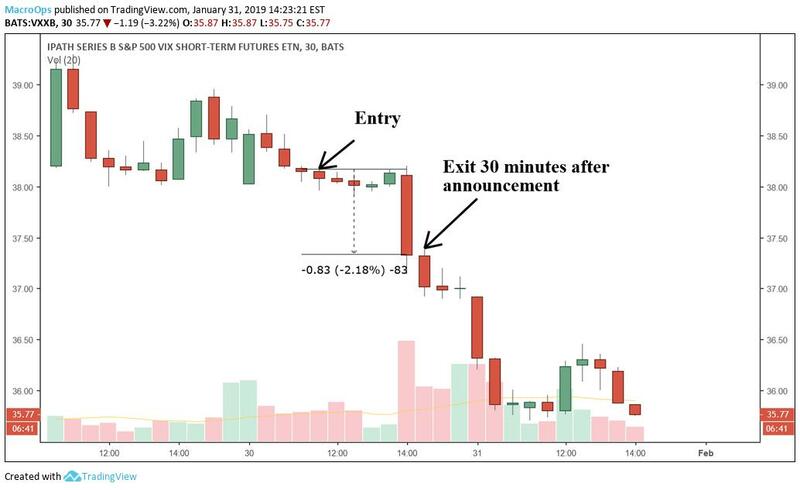 Below charts out the intraday price action of volatility fund VXXB on January 30th. Going short 3 hours before the announcement and covering 30 minutes after the announcement produced gains of just over 2%. Not bad for a one day return. If you’re not already, be sure to follow Alex on Twitter: @MacroOps. He posts his mindless drivel there daily.